I'm always taken by the vastness of the Sound when I stand at places like Point No Point. It's such a wonderful feeling to stand amidst all of that and just take it in. And while I've never gone fishing out there, I have done a bit of kayaking and the feeling is only amplified when I'm on the water in a little vessel like that. 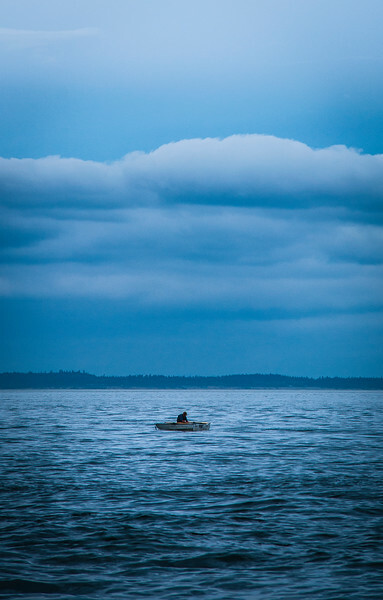 So when I saw this lone fisherman out there, I really wanted to capture that feeling.